I was a big fan of the music of Gary Glitter. As you know I don’t really collect records, but in this case I did: I think that I have all of his records. Gary Glitter, or Paul Gadd as his mother called him, has been in a Thai prison for the sexual abuse of children. I wasn’t there, but it seems that he really did what they locked him up for. That makes it difficult for me to enjoy his music in the way that I did before. I haven’t played one of his records in a long time. 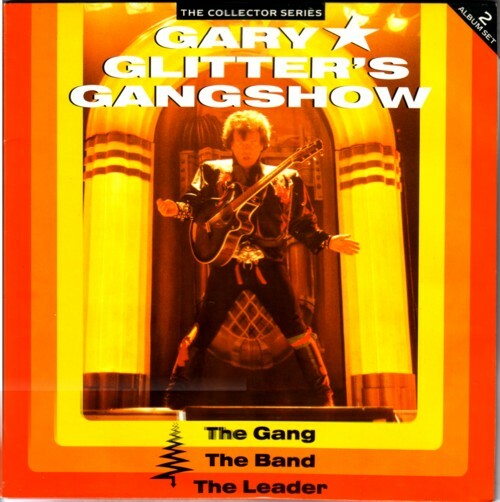 Gary Glitter had some awesome hits in the early and mid seventies. After that his records became less and less interesting, but there was an occasional surprise. Until, in the eighties he ended up touring for an audience that only came to see their hero form their childhood. Very sad. Then, in 1989, there suddenly was a double live LP of the man, where he was backed up by a band that managed to make Gary Glitter come alive again, even though mot of his voice had dissappeared over the years. I remember that I bought the LP only because I wanted to keep my collection complete, and I didn’t expect anything of it. But I played it for days non stop!